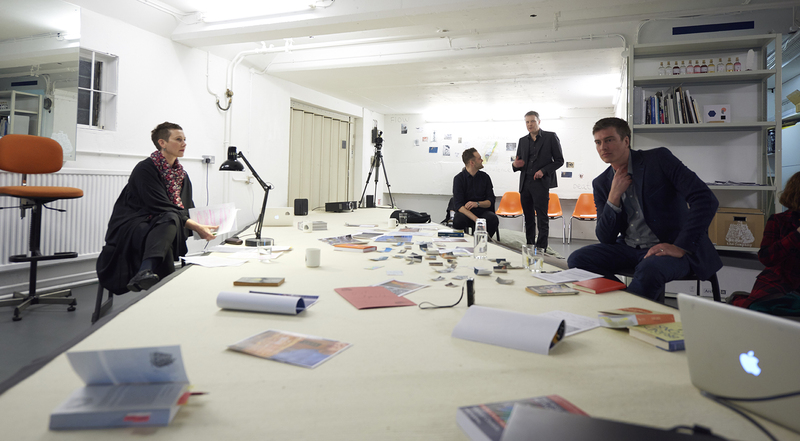 Some images and audio from last Thursday evening’s ‘Think Tank’, part of Tom McCarthy’s installation at the ICA as part of fig-2. With many thanks to Tom and Fatoş Üstek for inviting me to participate, my co-panellists Clémentine Deliss and Alfie Spencer and all those who attended. The text of my talk is below – we were limited to 15 minutes, the same amount of time U. has in which to give his interesting but ultimately baffling conference presentation in Satin Island. I hope to ‘archipelagise’ this at some point and to fill out the elisions. As the representative of the literary point of our triangle, I’m going to offer some readings; perhaps reading is the term under which our distinct operations might find common ground. These will be in a hybrid mode, part literary history, part in response to theoretical writing, and in the spirit of our engagement I’ve gone to anthropological thinkers: hopefully anthropological thinkers amenable to literature. I hope the nature of the engagement with corporate culture will become apparent. I’m grateful that Tom invited me to “fail interestingly” in attempting this triangulation, although, somewhat like U., I became anxious that I might be unable to do even that. 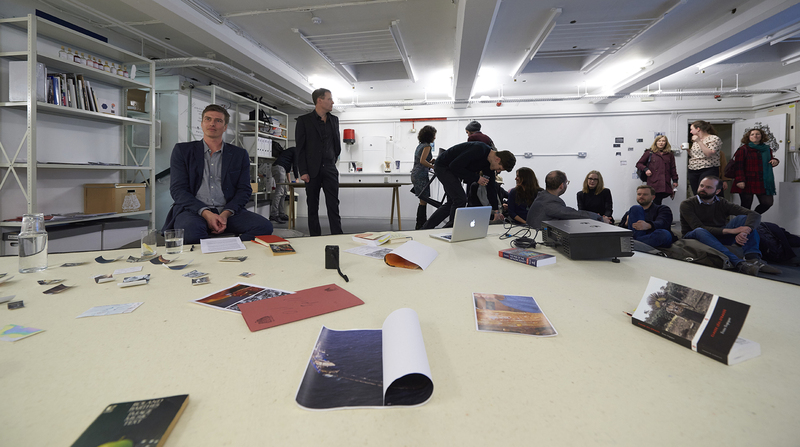 In my desperation I went to Marc Augé’s Anthropology of Supermodernity, which may be familiar to some here. There I found two images that resonated particularly powerfully in terms of Satin Island. Augé’s remark that for an anthropologist ‘the ideal vantage point is the deck of a ship putting to sea’ which put me in mind of Satin Island’s closing scene. And his final sentence, a call for an ethnology of solitude. How so? 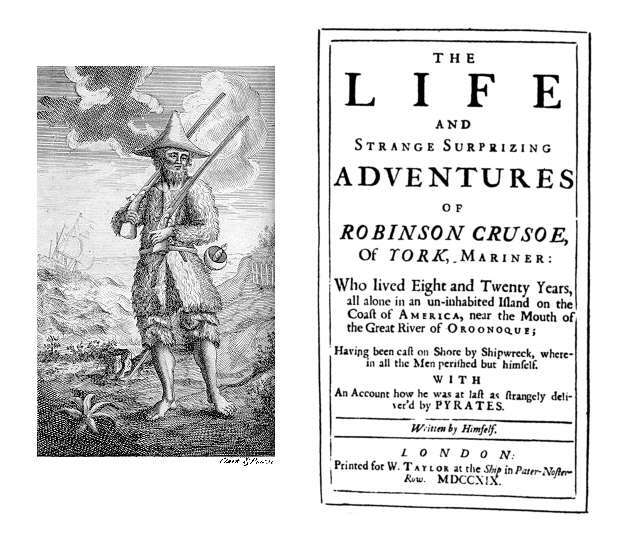 Well, Robinson Crusoe is frequently thought of as a pioneer of the realist novel. Crusoe himself is often read as an archetypal homo economicus, an exemplary liberal capitalist at the birth of liberal capitalism – an impression enhanced by the frequency with which his island has been used as a model by political economists. Certainly, Crusoe is a capitalist: a sailor first, but very soon a trader, a merchant, a plantation owner, and a slaver; a corporatist. He experiences a series of encounters with ethnic others – North Africans, West Africans, native central Americans – and in this he is, perhaps, also an anthropologist avant la lettre. So Crusoe emerges from the nexus of the flourishing of global trade and the ‘present tense’ encounter with alien cultures accelerated by improvements in cartography. 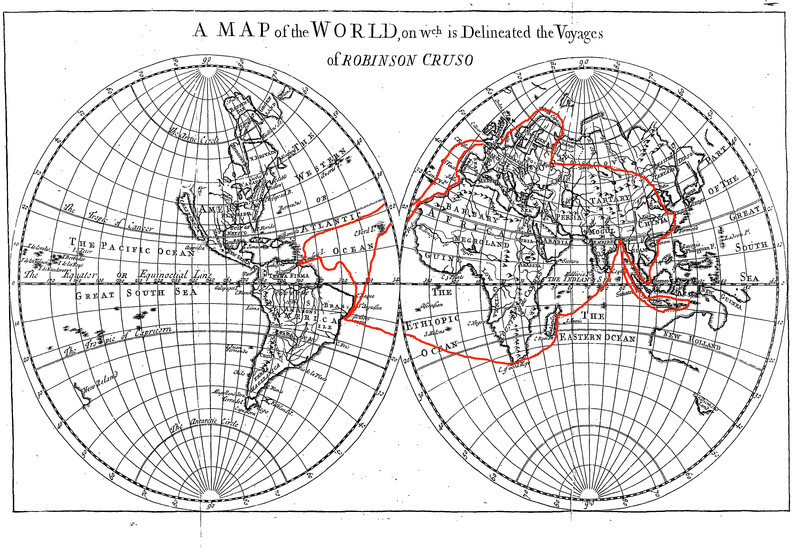 The Farther Adventures of Robinson Crusoe, published later in 1719 to monopolise on the popularity of the first story, included a map of his routes: the trade routes of the period, essentially, but perhaps not so far from the routes taken by Levi Strauss 250 years later. My crash course in cartography identifies that as an azimuthal stereographic projection map, by the way. Stereographic projection maintains angles between meridians but area becomes distorted. Perhaps we can return to the distortions of maps later, a subject I know is of interest to Tom. Crusoe also emerges in the context of an information boom: a local, English language boom, provoked by the repeal of the copyright acts in 1695. Crusoe may well be a liberal capitalist, but I’d like to suggest that he participates in this field as a processor of information. having rescued a watch, ledger, and pen and ink from the wreck, [he] commences, like a true-born Briton, to keep a set of books. His stock-book contains a list of the objects of utility that belong to him, of the operations necessary for their production; and lastly, of the labour time that definite quantities of those objects have, on an average, cost him. We should note well that ledger. For the nineteenth century scholar Mary Poovey, double-entry book-keeping is a significant textual staging post in a new epistemological mode that insists upon abstraction and quantification; the purification, following Bruno Latour, of nature from society. As a book-keeper Crusoe is a participant in this emergent, modern subjectivity: master of a nature he reduces to information. For Michel de Certeau, another interested reader of Crusoe, this same epistemological shift is characterised as the establishment of a scriptural economy. For De Certeau, Crusoe masters the island, nature, a blank space, and also the blank space of the page, in his ledgers and his journal. De Certeau reads the first sign of the other – the footprints on the beach – as the rupture of wild, untamed orality into Crusoe’s ordered space. This is highly suggestive. He also had something to say on spoken English: he favoured a plain style, and described words without sense as ‘Noise, which any brute can make as well as we and birds much better.’ Many readers of Crusoe have remarked upon his first companion on the island, his parrot Poll, who repeats his name back to him. But it’s not just Poll. Crusoe catches and tames two further parrots, which he also teaches his name. He makes corporate the production of noise. He sets up his own feedback loop, one in which the signifier of his subjectivity is made into, in Defoe’s own words, noise. Indeed, once you start reading the novel in informational terms intriguing details begin to present themselves. In one fit of paranoia, Crusoe digs an escape route from his cave that emerges in his own garden. He fashions himself a physical, spatial loop around which he crawls. And then there’s my favourite informational table: the list of the ways in which 23 cannibals are killed. All of whose bodies are buried on the beach, and about whom no more is said. Crusoe and Friday make a record of their slaughter, and then make the island into a vast tomb. I wonder if these curiosities don’t express an anxiety in the text about the modern liberal subject’s attempt to process information, a return of repressed noise insistent within processes of purification. Versions of the story – Robinsonades – have proliferated. It’s a particularly noisy text. I’d like to embark briefly on a curiously overlooked Robinsonade as a staging post on the way to Satin Island. J.G. Ballard’s Concrete Island. 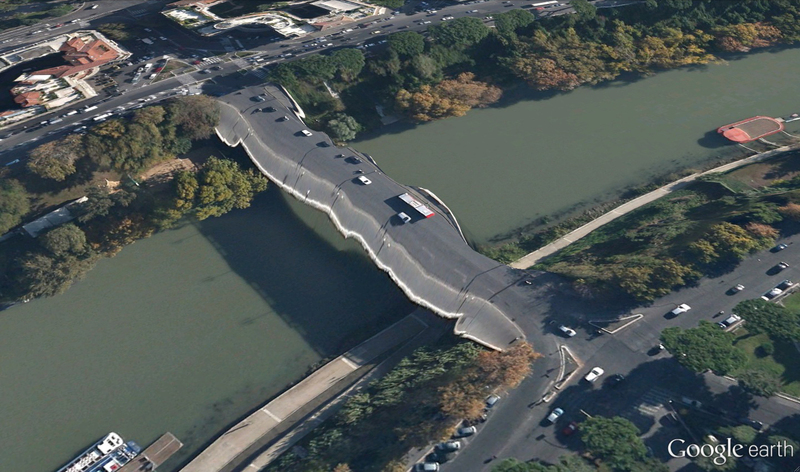 A triangular island, no less, closed off by the thundering traffic of the Westway, and into which the architect Robert Maitland plunges in crashing his Jaguar. The triangular model is also extended to the structure of his social relations with the two other inhabitants of the island, a pre-literate tramp called Proctor and a prostitute, Jane Sheppard. Alfie, I suspect that Maitland is corporate culture in this triangle; Clementine, why not have Proctor for anthropology and I’ll take Jane Sheppard for literature. I’d like to draw attention to a couple of details: the three sleep in the crypt of a church that is sealed into this overdetermined space, a space teeming with multiple presents, a surrealist assemblage of times that reflects the disordered state of Maitland’s psyche. 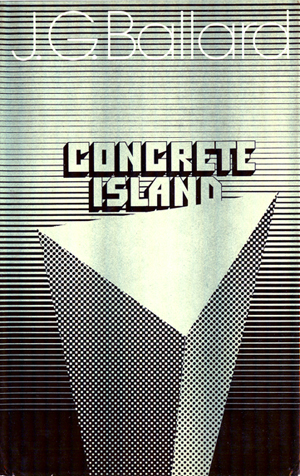 Concrete Island is consciously modelled on Crusoe – Maitland creates an island ‘estate’ from the ruins of his Jag – and sets the model for Ballard’s late fictions of enclosed communities in which psychopathologies are let run riot. Of particular interest is the chapter in which Maitland pretends to teach Proctor to write, has him copy out messages requesting help in the hope of attracting the attention of passing motorists under the pretence of teaching him how to write his name. “He began to scrawl the letters across the concrete with both hands. Each word he started in the centre, moving outwards to left and right. Maitland’s scriptural machine – another human subject – produces noise where signal should be. Indeed, Maitland wants noise. Proctor simply gives him the wrong kind. What do these examples tell us about literature’s relationship to capitalism and to anthropology? Perhaps the distinction was always bogus, another purification that can’t be repressed. Literature offers itself as a site for speculative anthropology; it can reach from the here and the now into the there and the then, the where and the when; it won’t bring back facts, or real encounters, but it can select its objects with freedom and model systems of relations that are yet to come into being. Corporate culture perhaps already does this on our behalf. It surely, as was the case with Crusoe, describes new terrains. I want to offer a new form of projection as a possibility for the future relationship of literature, anthropology and corporate culture. In fact, it’s a hybrid of two types of projection. Triangulation, as a method for measuring space, was superseded by satellite imagery in the 1980s. Essentially, one point of the triangle has been cast into orbit. In truth, triangulation originated in the stars, and so it has returned, with force. 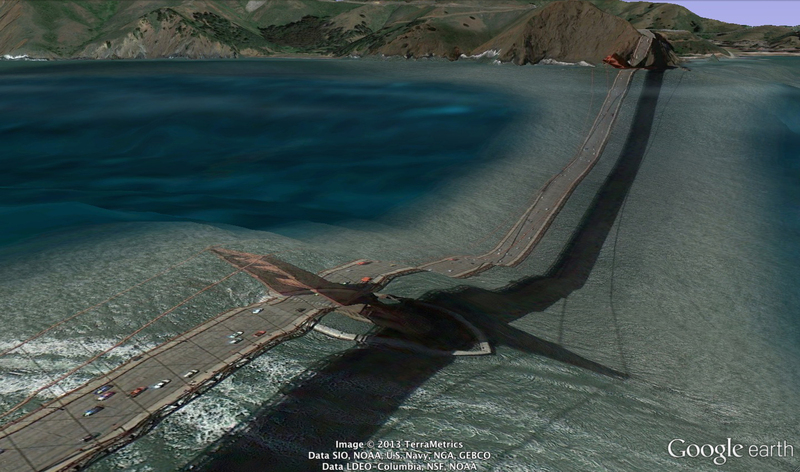 In Postcards from Google earth the artist Clement Valla documents anomalies in the satellite imagery produced by Google. Essentially, these are artefacts produced by the hybrid of algorithms used by Google for marrying the planar photographic imagery generated by its satellites and the complicated topology of the surface of the earth. In truth, the failing is perceptual – we read depth cues in the photographs that the algos don’t. Yet. Google call this the Universal Texture. These images seem to me fulfil the wilder aims of the cubists, to visualise two distinct spatial perspectives in the same plane. We might also think these with De Certeau, as a totalizing representation of space achieved from a godlike perspective. I wonder if this form of noise, produced through a corporation processing impossible volumes of information, doesn’t map a new projective landscape into which literature and anthropology might strike, into which we might follow De Certeau’s calls to return to street street level. To what new islands might these roads take us? And more importantly, what kinds of subjects might inhabit them?